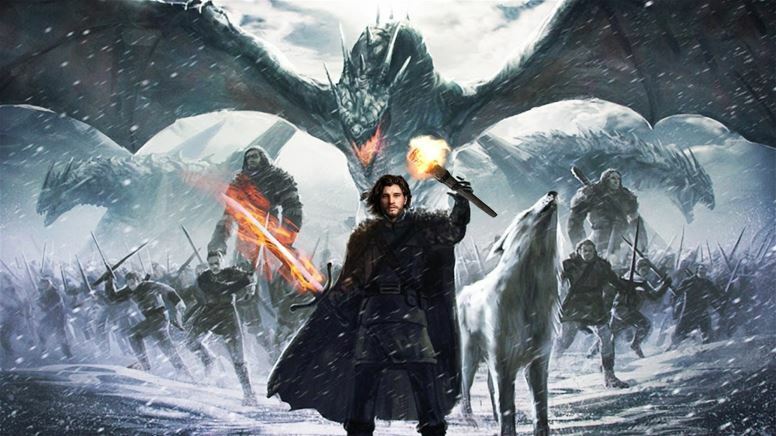 We all know how much popular Game of Thrones is among the people and also the status this show has in the history of Television series. 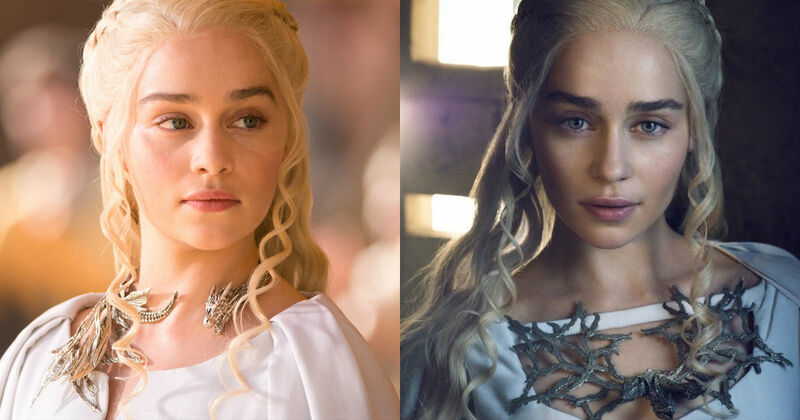 So, in order to get what their popularity is all about and Adidas is the one who came in front to increase that popularity as they posted the pictures of their sneakers in collaboration with Game of Thrones. 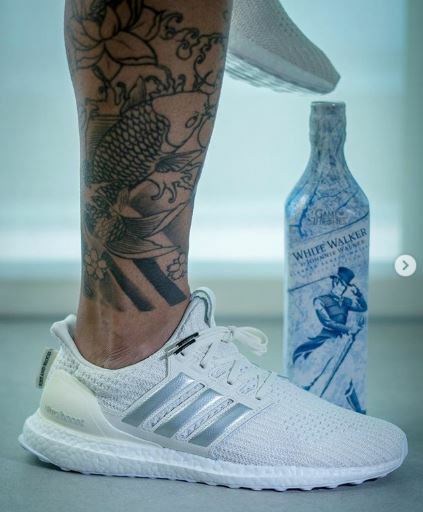 The sneakers are in related to the famous series Game of Thrones and fans are getting really excited in order to buy them because if you are a sneakers lover and on top of that if you’re a fan of Game of Thrones, then Adidas is surely going to take away some of your bucks. 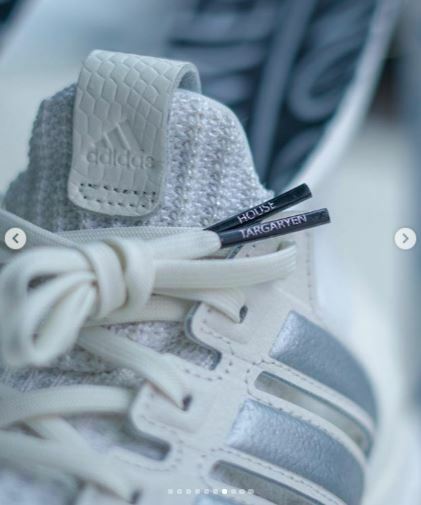 Adidas has introduced their new sneakers which are designed with the things which we have seen in the show Game of Thrones. 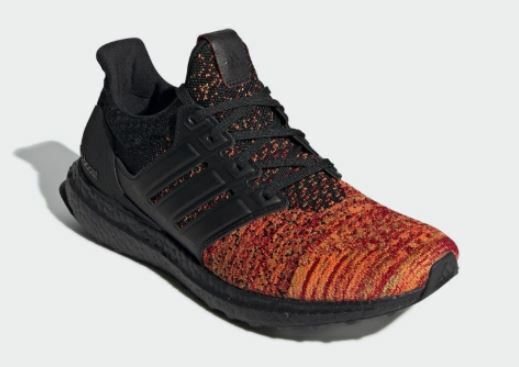 Starting with the very first shoe they are up with is none other than an Ultra Boost style sneaker is close to the House Targaryen as in the look of the shoe we can clearly see that the shoe have two major colors on it and those are none other than Black and Orange. 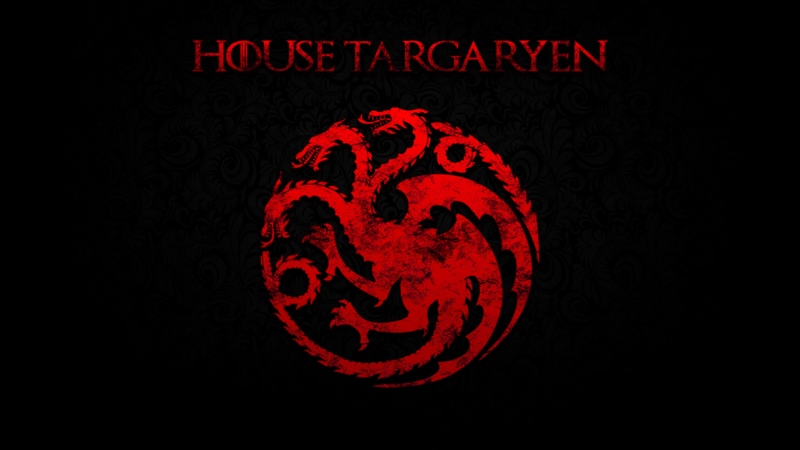 I’m sure that this combination will be appreciated very much by the fans of Game of Thrones. 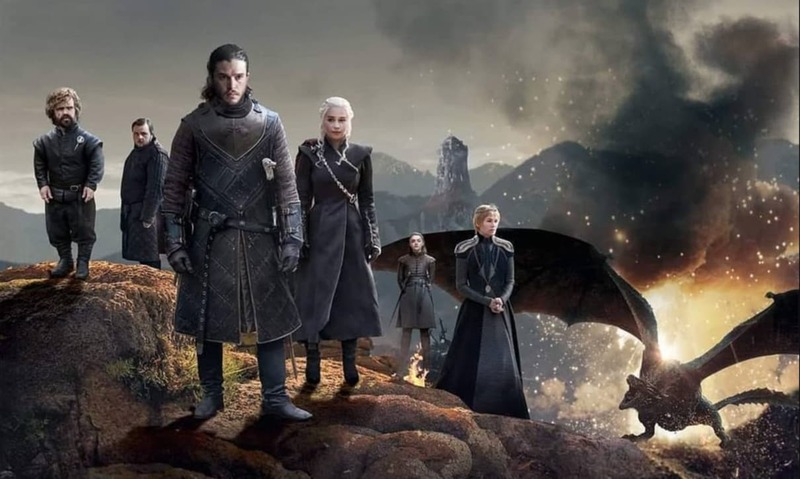 But, also if I talk about the normal people who aren’t in the Game of Thrones (I Don’t think there will be many) then this design is going to interesting for them and they’ll like these shoes for sure. If you think, Adidas has shown its brilliance with this one then I think you should start searching for more hands in order to give a huge applaud to the fans of Game of Thrones and Adidas too as the second shoe is my personal favorite because of so many reasons and I’m sure there’s going to be a huge debate whether the upper Black and Orange one is better or the one we are going to talk about. 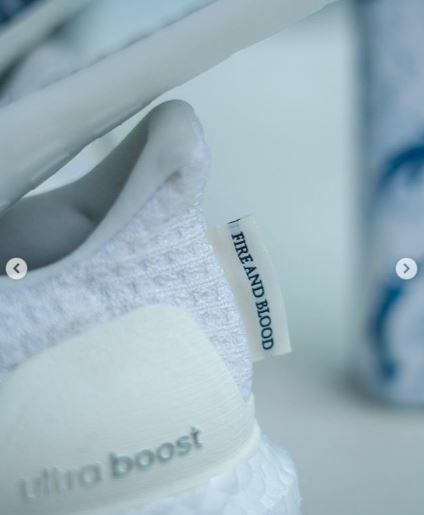 The next shoe is inspired by the famous White Walkers. 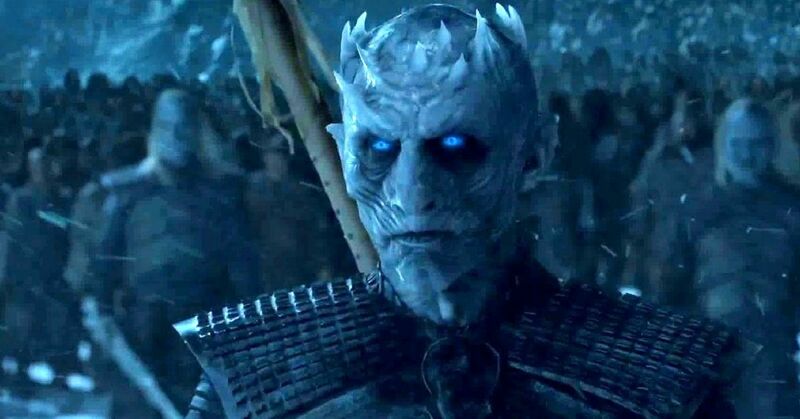 White Walkers are one of the most popular characters in the history of cinema and television as I don’t think there will be any person on the planet who haven’t heard the name White Walker or seen them on television or internet. 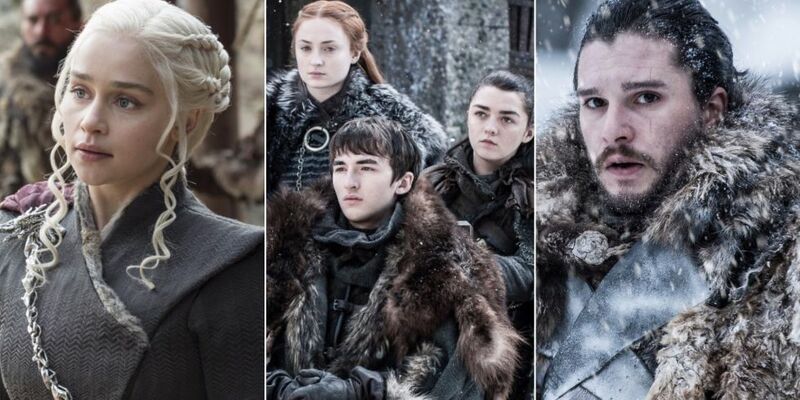 We all know that there were many other rumors regarding the theme of the sneakers on the internet and some of them were Night’s Watch, House Lannister, and House Stark. But, we haven’t received anything concrete except for these rumors yet. With the release of these two shoes, we are hopeful that we will see something of these also in near future. 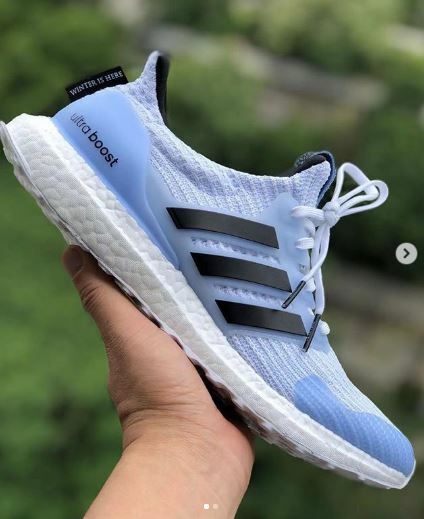 Game of Thrones isn’t the only collaboration Adidas did this year as they also collaborated with Dragon Ball Z and have already released their theme-lined up shoes in the market. 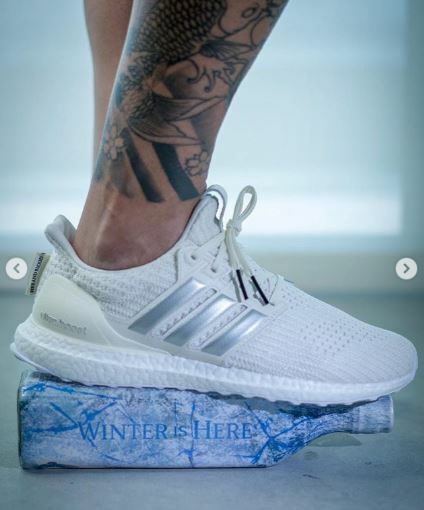 So, with all these things we can clearly see that Adidas is playing quite well in the marketing line as we all know that the final season of the Game of Thrones is going to go on-air somewhere in 2019 and that’s when these shoes will also release. So, this is going to do a lot of profit to the fans and also to the Adidas in order to gain some more popularity and fan base towards them. 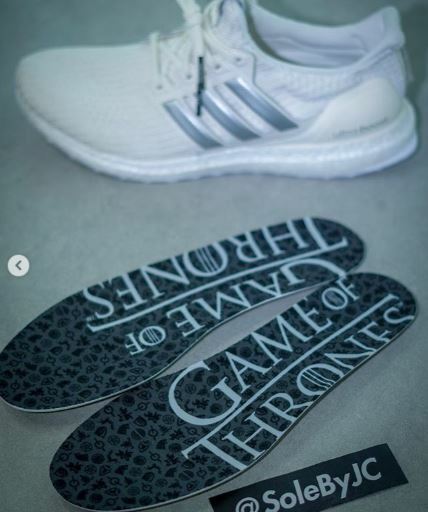 Also, with the final season going to come in 2019 there are chances that fans will buy these shoes in order to mark the sad but historic occasion of the end of this great series. What do you think about the shoes? Tell us in the comments section below.